Home / All Posts / What are SEO Backlinks? How Does it Help to Get Higher Rank in SERP? Backlinks have a huge impact on a website’s prominence in search engine results. Which is why they are considered important in improving a website’s SEO ranking. But what exactly are SEO backlinks? Backlinks, which can also be called ‘inbound links’ or ‘incoming links,’ are those pages on the internet that link back to your website. This link to an external website is called a backlink. They are the links to your website that appear on a third-party website. Historically, the number of backlinks was an indication of the popularity or importance of that website. But now when the relevance of a site to a keyword is measured by search engines, they focus on the number of quality inbound links to that site and not just the quantity. Inbound links are considered qualitative based on the relevance of the content. The more relevance the inbound links have, the greater their quality is considered. Example: Website A is a clothing store and it gets a backlink from Website B which is a fashion blog or website. This is a valuable, natural, and relevant backlink that Website A has gained. Only natural methods should be used to increase backlinks. Due to its importance, there are a lot of artificial practices followed by website owners to gain backlinks, most of which are not recommended by search engines. Some of the most frowned upon practices are purchasing backlinks, link exchange networks, selling backlinks, etc. Some methods that can be used to increase backlinks are free for use by everyone whereas a few others, like link baiting, require quite a bit of planning and marketing to work. There are also a few paid techniques that can be used to increase the number of backlinks to a target site such as using private blog networks to purchase backlinks. A few other techniques that can be used are blog commenting, guest blogging, article submission, press release distribution, social media engagements, and forum posting. 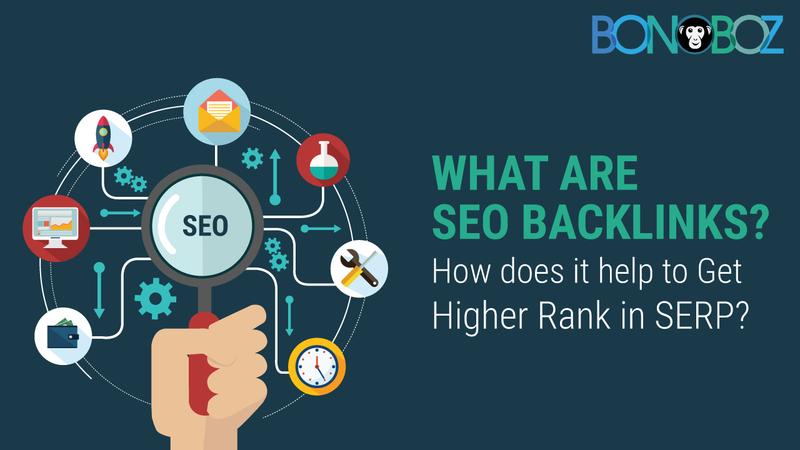 What is the role of backlinks in getting a higher SERP? Backlinks are important for SEO because they not only help search engines find your website but they also represent a ‘vote of confidence’ from one site to another. If a number of websites link to the same webpage or website, search engines can conclude that content is worth linking to, and therefore also worth surfacing on a SERP. (Search Engine Ranking Position (SERP) refers to where your website appears when users search for your keywords.) Nothing can get you a better ranking than a technically optimized website which has a good user experience and lots of great content. Once you are done with that, backlinks may bring you up from a mediocre ranking to one of the top positions. Search engines focus on several factors when determining where your website should appear in the search results, the most important is the quantity, quality, and relevance of your backlinks. Google examines each of these web links and assigns each of the linked web pages its own value. The value Google assigns to a page correlates to where that webpage appears on a SERP. Google gives more credit to websites that have a good number of quality backlinks, and consider those websites more relevant than others in their results pages for a search query. What kinds of SEO backlinks can improve SERP? Say for example that you have a site about furniture, a link from a page about home decor will be much more effective than a link about restaurants. When building backlinks, search for pages that relate to the content of your website. Being linked to irrelevant, low-scoring links tarnishes your reputation. An “indexed” site means that it is listed in the search engines. A link on an un-indexed site will do nothing for your website because the search engines do not know that the link exists. Backlinks from sites that already have some amount of authority with the search engines are more effective than links from newer, random sites. By default, all links are do-follow, but sometimes people use plugins and manually add a no-follow tag. No-follow tags tell the search engine spiders to ignore the link. This reduces the clicks on your link. Backlinks act as the digital map that allows users and search engines to navigate their way around the internet. One of the most effective things other than good content that can provide a good ranking is good backlinks. They direct humans as well as search engine spiders towards the best content on any particular subject. In this way, they are used as a way to measure authority and reputation which in turn determine the SERP of your website.